Need to entertain guests and don’t have garden furniture? 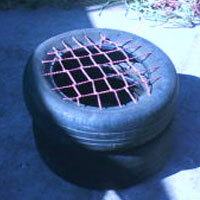 Here is an easy solution - make a chair using reycled tyres for those outside braais and long, lazy summer afternoons! Follow our easy step by step instructions and see how easy it is to make your own recycled garden furniture! 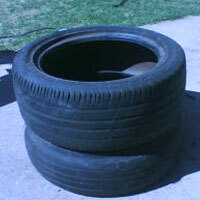 Place the two used tyres on top of each other. 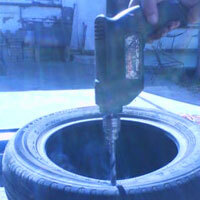 Using the drill, drill a hole on the inside of the tyre, go right rhough and drill a hole through the bottom tyre. 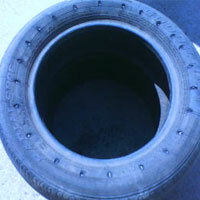 This step needs to be repeated 4 times, so that the drilled holes form a square shape on the tyre. Push bolts through the holes, and then use the nuts to tighten. The two tyre should now be securely fastened to each other. 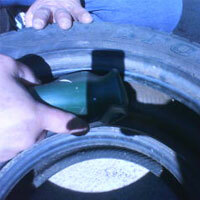 On the top tyre, drill twenty evenly spaced holes around the rim of the top tyre. 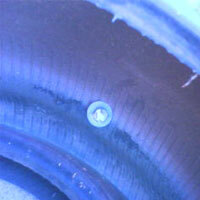 Make sure the holes are drilled about 20mm in from the tyre rim. Take your rope, feed one end through the washer and knot the end of the rope so that it cannot pull through. Insert the other end of the rope through one of the holes in the tyre. 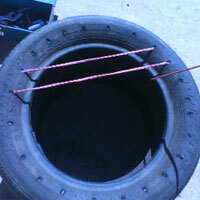 Start from the inside of the tyre and push the rope upwards, so that your rope is sticking out from one of the drilled holes. Pull the rope all the way through so that the washer is resting on the inner wall of the tyre. 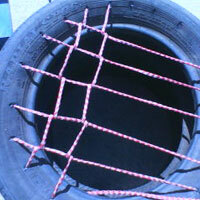 Push rope through the sixth drilled hole of your tyre from the top downwards and pull tight. This will form a horizontal line. Then, push the end up through the next hole, pull across horizontally and down the hole on the opoosite side. Continue weaving until you have 5 or six horizontal rows. Starting at the next available drilled hole, start weaving in the opposite direction, ensuring the ropes are tied in as you continue. The easiest way to do this is to loop around each vertical rope or weaving by going under and over the horizontal tied ropes. Continue until weaving is complete. Thread the end of the rope through the washer and tie a knot to finish your weaving. Make sure the washer and knot is within the tyre rim and not facing outwards.  Note: The tyre chairs can be made firmer by ensuring the ropes are pulled tightly during the weaving process. For a more bouncy effect the weaving process should not be too tight. 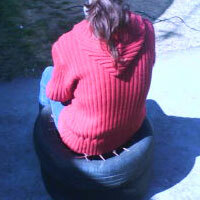 After a bit of practise you could have a whole set of four rubber tyre chairs for your garden. For a complete outdoor look, follow our step-by-step on making a Two-in-one outdoor braai and table using tyre rims.